Lauki is one of those hidden gems one can find around our country. He’s been for many years producing its own music and with the acclaimed collaboration with polish artist Pleq, also known as Bartosz Dziadosz. GEA is the first solo release by Lauki after a 2 year hiatus between now and “69º54´S - 135º12´E” a release that can be accesible through Lauki’s bandcamp page. We are happy to host the work by this basque artist currently living in Barcelona. Also the occasion is special because we are glad to present the work by Lauki live on stage at the Off_Herzios festival in Valencia which will take place in one week sharing stage with the work by Avelino Saavedra at Rosa Santos Gallery. Truly this is a beautiful coincidence because we can accomplish a desired issue on Audiotalaia, to both present physically and virtually the work by a very fine artist such as Lauki. 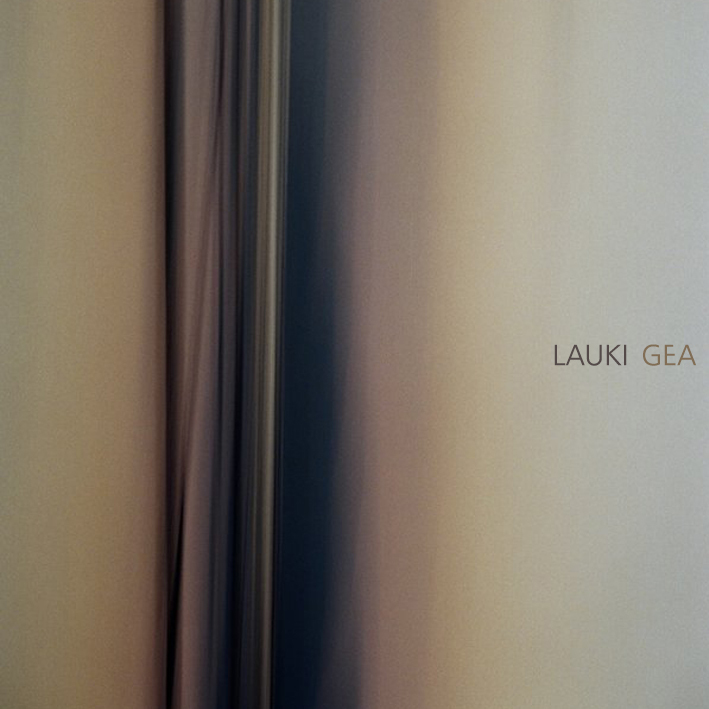 Gea drifts around many recurrent structures by Lauki, the album explores - once again - the sonorities of string recordings captured and re-assembled building scenarios in which one can reconcile with ambient music and a comfortable listening experience. Finally, Gea is another turning point on the work by Lauki and we are happy to host it on our catalogue. "Reflejos cambiantes sobre la superficie terrestre, oráculos ocultos en sus polos y en sus aguas, el sonido de la maquinaria perfecta, Gea, nave nodriza, creatrix infinita de mundos, de experiencias íntimas del espacio sideral." All tracks written and produced by Mikel Lauki at the turn of 2012 and 2013. Track 06 "Inner" Remixed by Pleq (Bartosz Dziadosz). Original track first released at "Desde La Atalaia" Compilation. Voice on Track 06 by Sylvie Lamy. GEA by Mikel Lauki is licensed under a Creative Commons Reconocimiento-NoComercial-SinObraDerivada 3.0 Unported License. Creado a partir de la obra en http://archive.org/details/at061Lauki. Permissions beyond the scope of this license may be available at http://www.audiotalaia.net.